Thank you for your interest in SofTap Permanent Makeup. 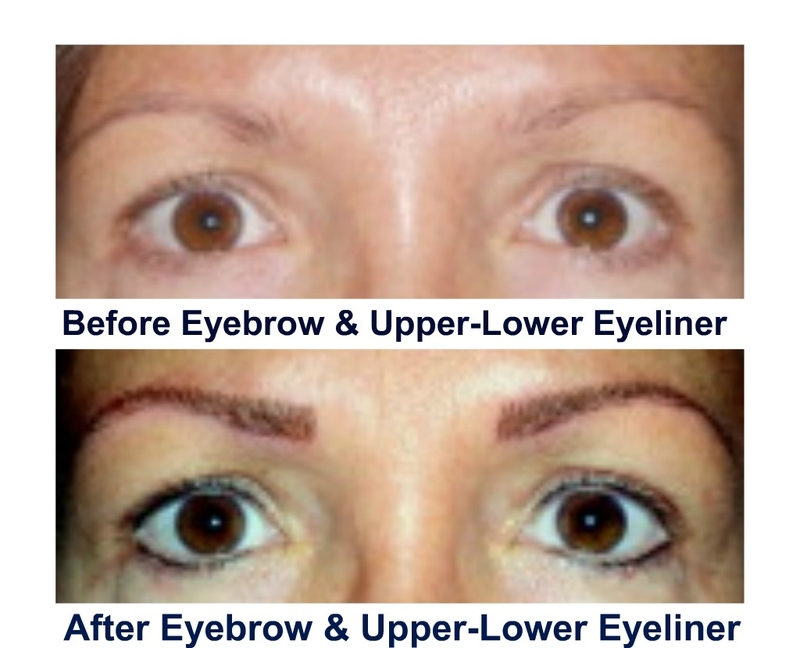 Permanent makeup is the fastest growing service in the beauty industry today. The SofTap hand method is the gentlest and most efficient technique to implant pigment into the skin for long lasting natural results. Please see the Menu of Services for SofTap 3D eyebrows, eyeliner, lipliner, full lipcolor and scar camouflage. 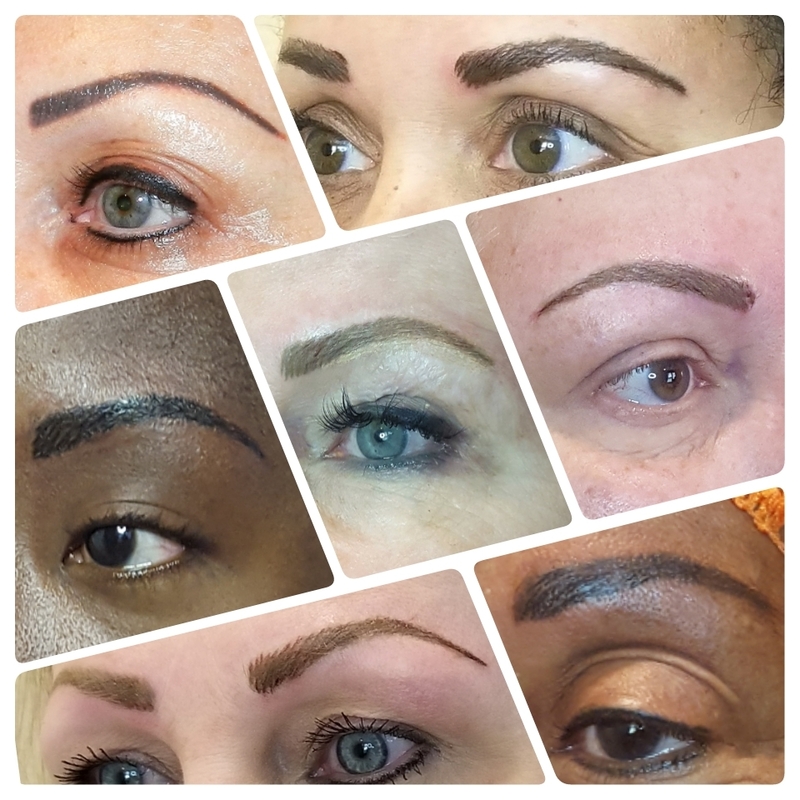 For beauty professionals see the 3 day and 4 day Hands On Intensive Course information to Learn the Art of Microblading SofTap Permanent Makeup. "Hi Linda, Just wanted to extend my thanks to you for teaching my daughter the permanent make-up method. She did my eyes and brows and I love them! She is very thorough and gentle! This is the perfect venue for her to be in!!!!! Thanks again, Becky Schuler :)"
"I researched teachers for permanent makeup for quite a while before choosing a teacher/class that I hoped would enhance my career. I had great confidence when I chose Linda Hong, because of her background and experience. Linda teaches a great, comprehensive class, covering everything from sanitation (most important in this industry) to the "art" of SofTap permanent makeup. Linda's class is hands-on almost immediately. Due to Linda's guidance and instruction you are ahead of the game from the get-go! 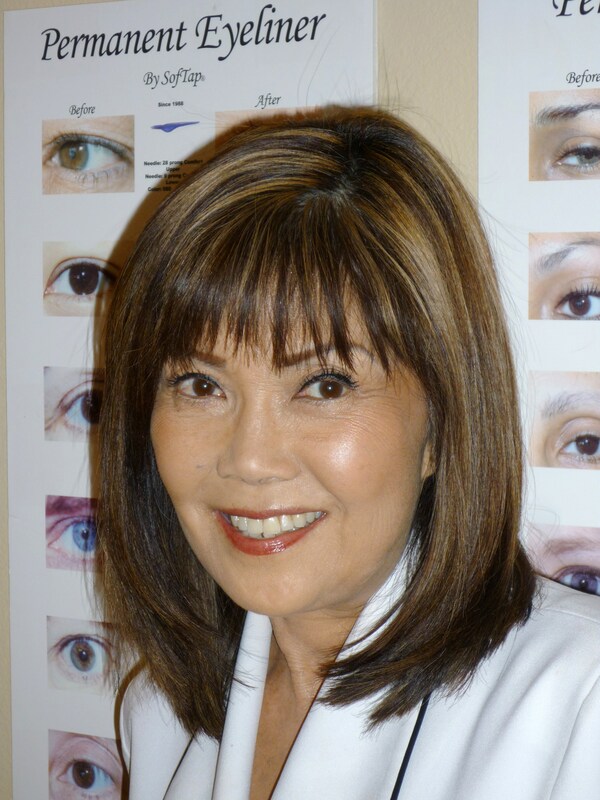 I wholeheartedly recommend Linda Hong as a teacher of SofTap permanent makeup! Personally, I was excited about completing my training and how to incorporate SofTap permanent makeup in my business immediately. It does take time, once you learn this 'art', to build the confidence you really need. But with a teacher like Linda you have the greatest launching pad to move forward! I have been doing SofTap permanent makeup for almost 8 years and just love it." My name is Sarah Jackson. I took Linda's SofTap course and I can't say enough about my learning experience. The one on one teaching structure was fabulous and very hands on. I felt at ease the moment I spoke with Linda when inquiring about her course. I was coming from Niagara Falls, Canada so there were many arrangements to be made and she helped in everyway she could. The moment I stepped into the training room I was excited to learn and wow did I learn alot. We got right down to work and by that afternoon was working on real person-model. There is no better way to build confidence than to get right in there and do the work. Linda has a vast amount of know- ledge and answered any questions I had without hesitation. I returned home from Los Angeles and got right down to business doing my first client within a few days. I felt very confident as I knew I had received the best training available to me. Linda is extremely professional and can offer anyone tremendous training in SofTap permanent makeup. I have relied on Linda over the last two decades to provide the best in aesthetic services to both my reconstructive and cosmetic patients and have never been disappointed in her superb work. Her meticulous attention to detail coupled with her innate artistic sensibility has always resulted in a pleasing outcome for our patients. She is warm and welcoming and always has her clients' best interest at heart. I regard her as a trusted colleague and partner and depend upon her expertise on a daily basis to insure the very best results for my patients. Randy Sherman, MD, FACS, Vice Chair, Department of Surgery Cedars Sinai Medical Center, Plastic Surgery. Clinical Professor of Surgery, Orthopedics and Neurological Surgery at the Keck School of Medicine at the University of Southern California. Oh goodness, where do I even start. Linda is AmAzInG!!!!!! Not only did I leave her class with all the knowledge needed to go right at my permanent cosmetic career, I felt completely confident that I knew what I was doing. When I did my first client after my certification I thought I was going to be nervous...... Not the case at all. It's like she was still right there next to me telling me exactly what do do next. The one on one training is something I am so glad I received. Without it I'm not sure I would have had the opportunity to pick her brain like I did and get all of my questions answered, or if i would've even asked without feeling silly in front of other classmates. Linda is also very prompt with getting your supplies to you after you graduate which is a HuGe plus! In less words...... No regrets and I would do her course even if she charged double.